Note: Image provided by campnanowrimo.org. 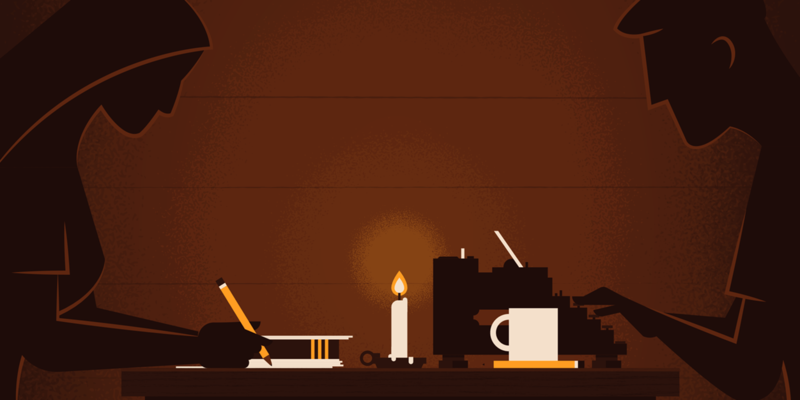 For those who don’t know November is National Novel Writing Month, better known as NaNoWriMo for short. During November writers of various skill levels from all over the world attempt the seemingly impossible– writing a novel (or at least the first 50,000 words) in a single thirty day period. Writing 50,000 words in one month can be daunting for a number of reasons. Sometimes November is simply a busy month and work or school get in the way. Camp NaNoWriMo is the solution. Camp is a more relaxed version of the main event in which participants can chose their own word count goals. Participants don’t have to write a novel either. There are people writing everything from scripts to memoirs to graphic novels. Feel free to edit or rewrite a novel for this event. The general rule for line edits is that an hour of editing counts for 1,000 words written according to the @nanowrimo Twitter page. This event would not be complete without a summer camp theme. This year participants are sorted into a virtual “cabin” of twelve members. Participants can chose to be sorted randomly or chose cabin members based on the criteria of age or genre. Cabin members receive an overall cabin word count goal and a “cabin forum” which is private to members of that specific cabin. There are also the camp forums over at nanowrimo.org which allow participants to get motivation from outside their cabin. The next camp season starts in two days on the first of April, but it’s not two late to join. If April isn’t a good time then there is always the July session. Register at campnanowrimo.org. The only major criteria to participate on the main site is that you must be 13 years of age or older. Under 13? No problem! Participate in the young writers version at ywp.nanowrimo.org. Are you participating in Camp this April? Then comment below and share your experience or expectations!